Welcome to Aspley Uniting Church. We extend a warm welcome to you – whether you are a newcomer to our area or are a resident seeking a faith community, we believe that God has brought us together to join in worship, learning and fellowship. We believe that ‘church’ is about community so whichever service you choose to attend you will be made truly welcome and will quickly become a valued member of our church community. Our 8:30am service is a traditional family service. We have communion the first Sunday of the month with our Aspley UC Singers leading the singing. We have a friendly morning tea after the service each week. Our 10:15am service is a relaxed, contemporary, family friendly service with Sunday school. We have a monthly morning tea the last Sunday of the month after our service in our Aspley Early Childhood Education Centre behind the church. This enables young families to enjoy some refreshments together while the kids can use the playground equipment. If you can’t make it to one of our Sunday Services in person, listen into the services from home or whilst travelling by calling the listen@home telephone service. Call the listen@home telephone number just before a regular service time on a Sunday. You will be given 2 options. Press 1 to connect straight into the service or Press 2 to listen to instructions on how the listen@home telephone service works. You’ll be welcomed by an elder of the church. If you wish to speak to the elder, press the * (star) button and the option 1 to unmute your microphone. At Aspley we minister to both our immediate and wider community. Our Church has founded an active Community Service initiative called Aspley Caring Through Service – ACTS. It provides financial relief from poverty or misfortune, particularly to people who are not members of our Church and who live far away from us. The main focus of ACTS is to have a personal ministry to anyone in genuine need, particularly victims of floods, droughts and bushfires as well as broken families, homelessness, and those who are unemployed. ACTS also offers assistance to various School Breakfast Programs. Refugees are especially cared for. Within the life of the Church we have 15 groups that comprise the Circles of Care. Each Circle provides friendship and pastoral care to all members of the group. Each person is encouraged to be aware of, and pray for the needs of people in their Circle eg illness, hospitalisation, family celebrations and bereavement. Through the Circles of Care, all members of the congregation can be involved in pastoral care. Circles of Care are also held at Aveo Bridgeman Downs and Compton Gardens Aspley for residents of any faith throughout the year. Aspley UC owns and operates Aspley Early Childhood Education Centre which offers Long Day Care Services to support our community. AECEC engages in these services as an expression of God’s love and concern for children and their parents or guardians. To that end, the Centre strives to ensure that all children will receive high quality care in an environment that is safe, caring, stimulating and nurturing of individual differences as they learn and grow physically, spiritually, intellectually, creatively, socially and emotionally. 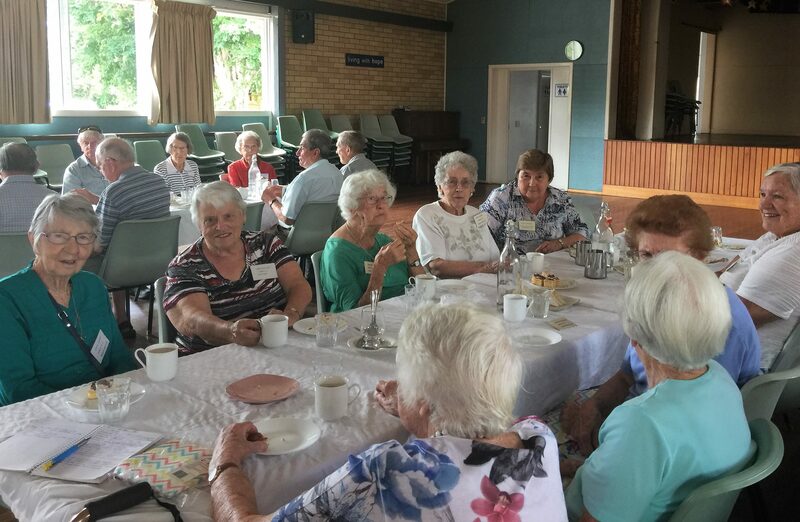 Aspley Classes for Seniors aims to provide social and educational opportunities for the “over-50s” in the northern suburbs of Brisbane. Some 200 seniors enrol each term in the classes offered. Most classes are 90 mins duration once /week, with four seven-week terms in each year (corresponding to the school terms). For more information about the classes offered visit the Aspley Classes for Seniors website. The 2Y’s, Yesterday’s Youth, have a membership of approximately 50 men and women aged from 60+ who meet monthly to enjoy friendship, fellowship and devotions while being engaged in a variety of social activities. Some of these include Australia Day BBQ breakfast; Guest speakers from various organisations; visit to Botanical Gardens; Mother’s Day breakfast; Fish and Chips outings; Boondall Wetlands picnic; Train trips – just to name a few. Aspley Area Christian Earthcare (AACE) is a ministry focussed on Christian environmental action as an integral part of Christian mission. AACE believes that we can all play a part in caring for the planet which is God’s creation. A range of programs based on worship, education and practical action are planned throughout the year. 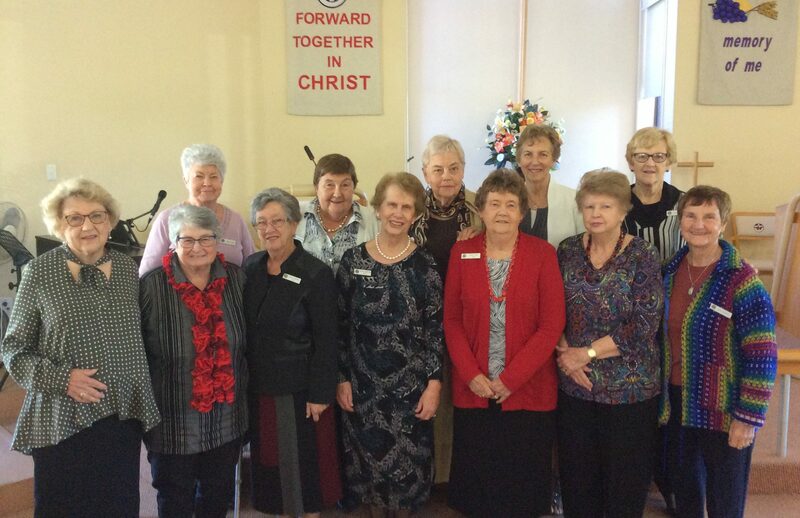 The Friendship Club comprises of older members of our congregation for meetings and outings. Usually we participate in the World Day of Prayer service wherever it is held in our locality and we always enjoy our fish and chips lunch at a close-by seaside location. We take advantage of talented persons within our congregation and invite them to speak to us on a recent trip, a past experience or hobby; also some use their musical skills to entertain us. We have one annual outing to the Aspley Special School for morning tea. We also have a pre-Christmas sing-a-long in November and our Christmas luncheon in December. The Ladies Evening Fellowship meets on the third Monday of each month at 7.30 p.m. The meeting commences with Devotions followed by a short business meeting and then either a guest speaker or some interesting activity. We organise a couple of social fund raising functions each year and also help with catering for other church activities. When required we provide refreshments following funeral services which is something really appreciated by bereaving families. We are a happy, caring group and new members will always be welcome. 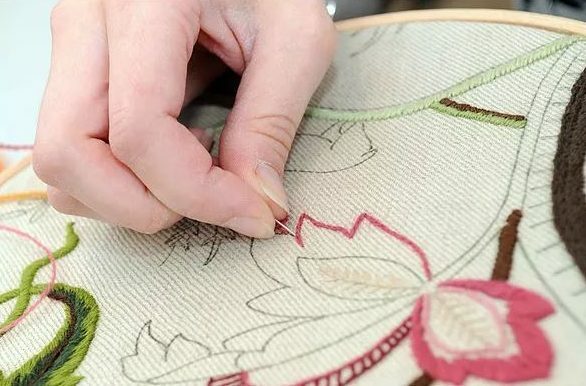 The Needlework and Craft Group is a small group that meets at 9.30 am on the 2nd and 4th Wednesdays of the month for Three C’s (coffee, craft and chat). We each work on our own projects in a relaxed atmosphere, offering admiration and encouragement, help and advice if required. We would love to have more ladies join us. Sunday School is available during school terms for children of all ages. During our 8.30am and 10:15am services, children leave to attend Sunday School with our teacher Miss Elaine and participate in lessons involving children’s story-telling, bible games and activities, music, arts and crafts and much more in our annex which is next to the church. Children re-join their parents towards the end of the Church Service. Our crèche room has nappy changing facilities and toys and this room has the facility to see and hear the service as well. After a career in corporate business Sandra was ordained as a Minister of the Word in the Uniting Church in 2010. Sandra has a passion for making the scriptures alive and relevant for everyday life. Her understanding of the Greek and Hebrew languages and the historical context in which the Bible was written was a major part of her Masters of Theology degree. Sandra believes that church should be a community for all ages to be actively involved. © 2019 Aspley Uniting Church.